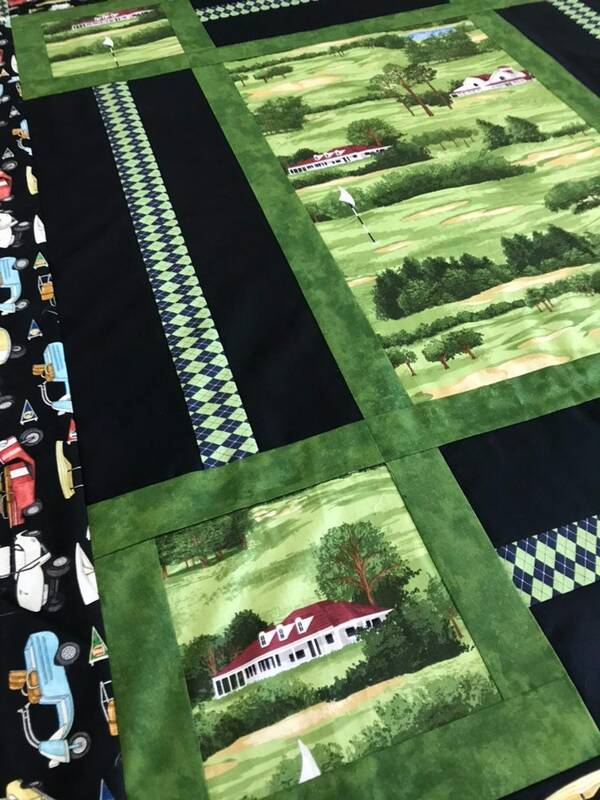 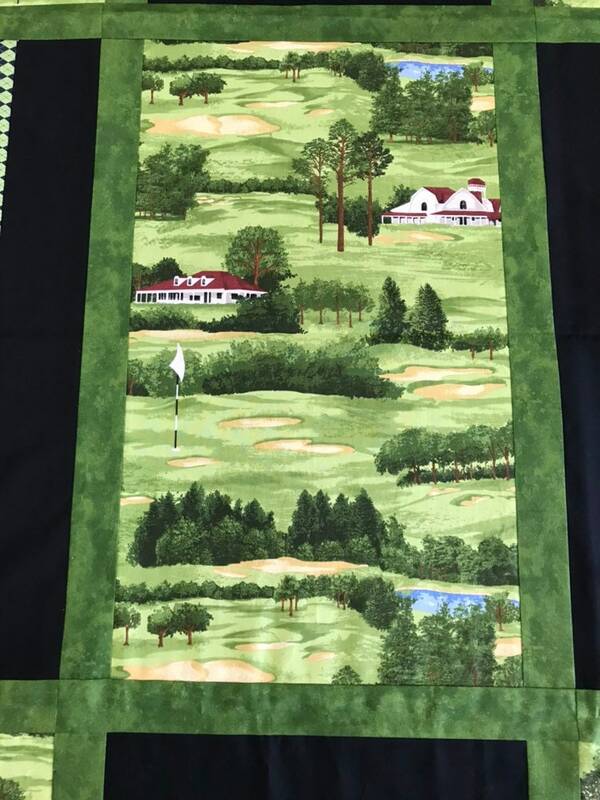 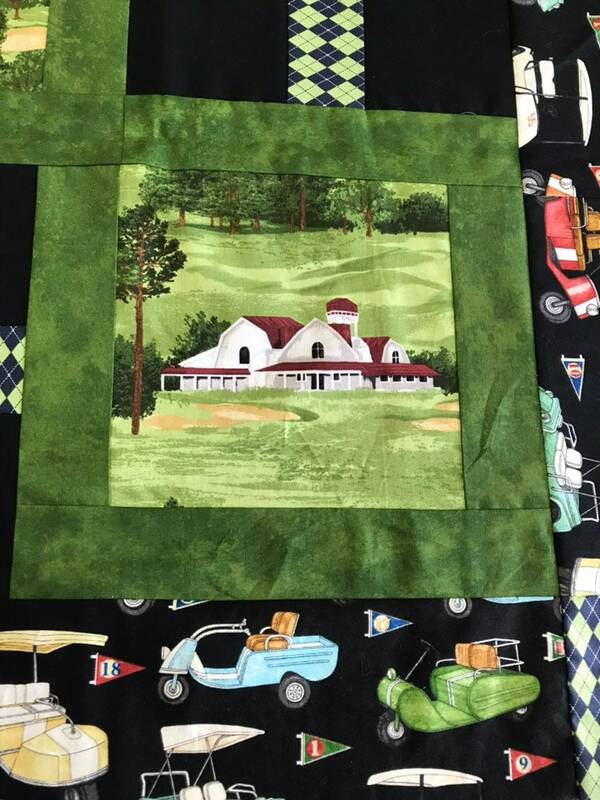 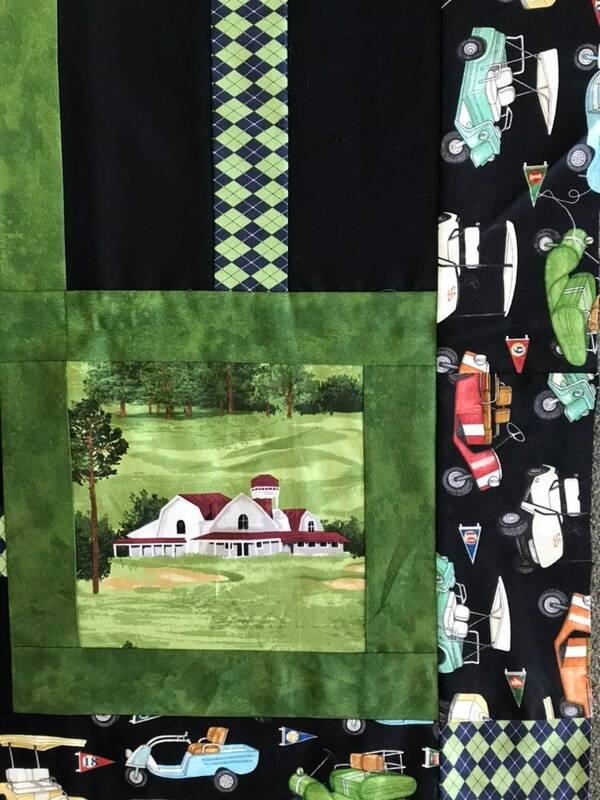 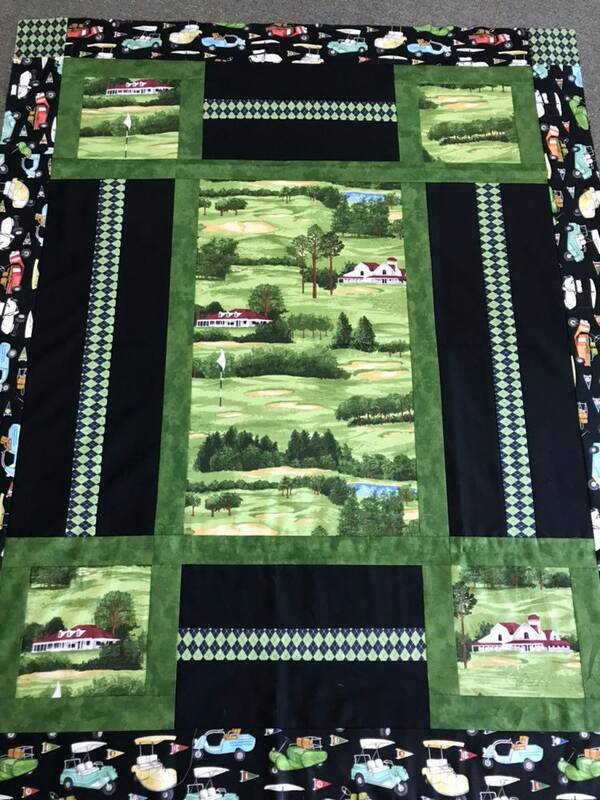 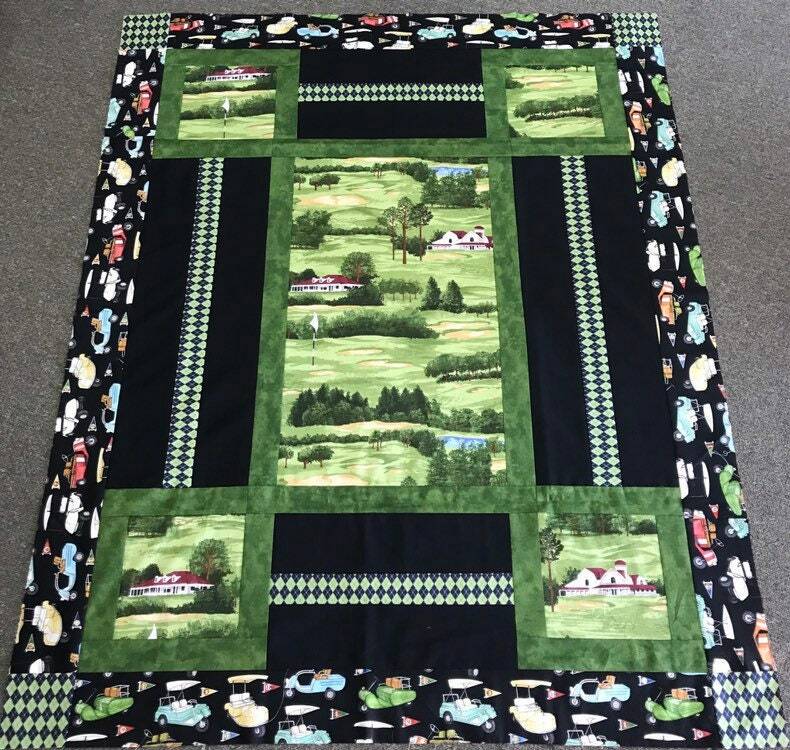 This Golf Quilt Kit features Northcott “On the Green” Panel with coordinating fabric to create this 48x60 Quilt. 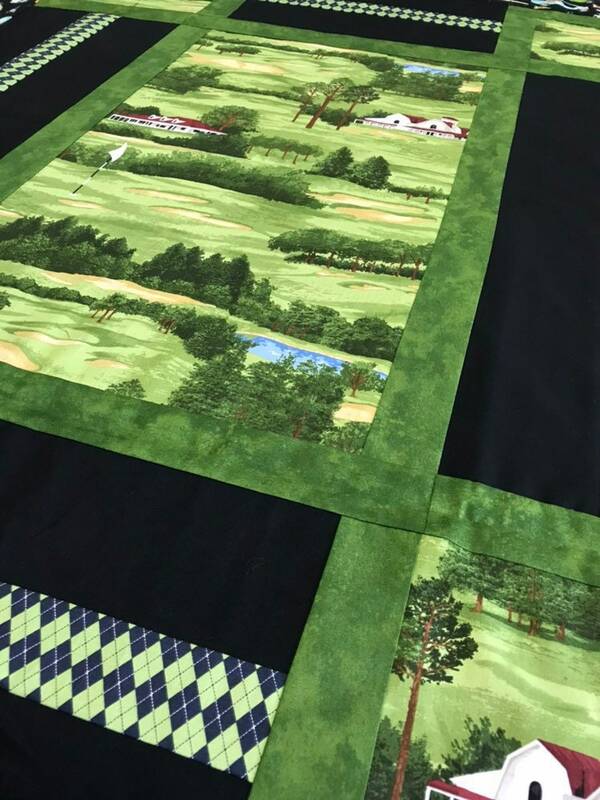 The kit includes everything to make the top and binding. 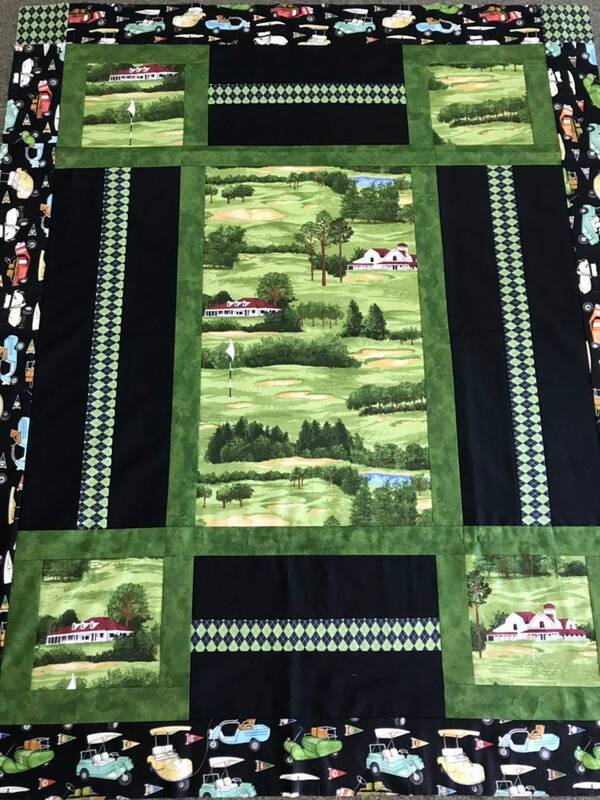 The backing fabric and batting are not included in the kit. 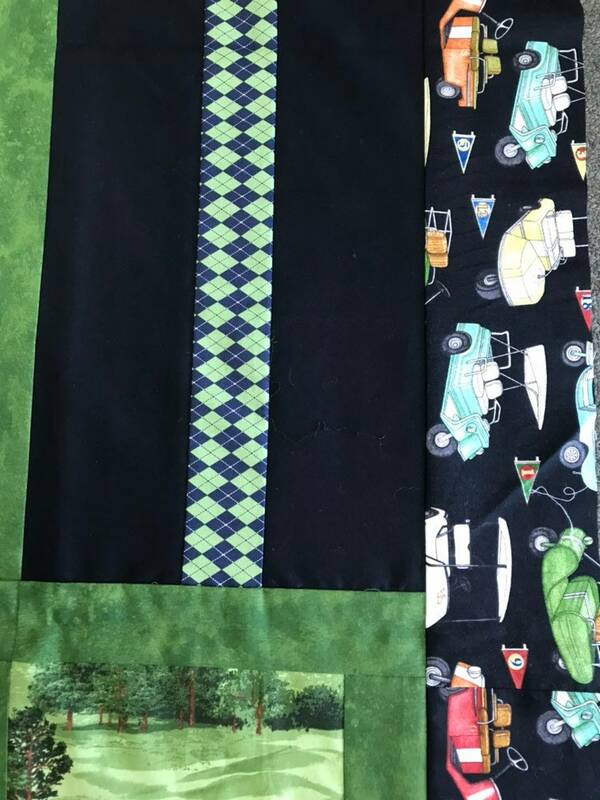 Sewing level: suitable for the beginning quilter.